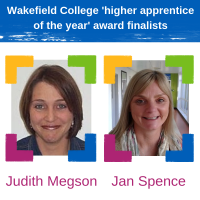 Two Trust staff have been nominated as ‘higher apprentice of the year’ in the Wakefield College apprentice awards this year. 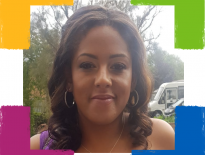 Jan Spence, manager of Yorkshire Smokefree in Calderdale and Judith Megson, team manager in our Kirklees older people’s services have been named as finalists in the annual awards hosted by Wakefield College. Jan and Judith are amongst other Trust staff who are studying for a level 5 apprenticeship award in management and leadership at Wakefield College. The course lasts two years and involves people from across our region and from many different backgrounds. So to be one of only three people nominated for this award is a great achievement. The awards are taking place on Monday 4 March and will be presented in the company of the Mayor and Mayoress of Wakefield.